Pep Guardiola admits Liverpool have the advantage in the Premier League title race following Manchester City’s defeat to Newcastle. The Reds will have the chance to move seven points clear at the top of the table when they host Leicester City at Anfield on Wednesday evening. Whilst there is still an awful long way to go, Jurgen Klopp’s men know 13 wins from their last 15 games will secure them the title. Speaking after the game, Guardiola warned of his team’s willingness to take on the difficult task ahead they look to defend their crown. It marks an incredible opportunity for Liverpool to put some breathing space between themselves and a team with the remarkable strength in depth to compete across all formats this campaign. 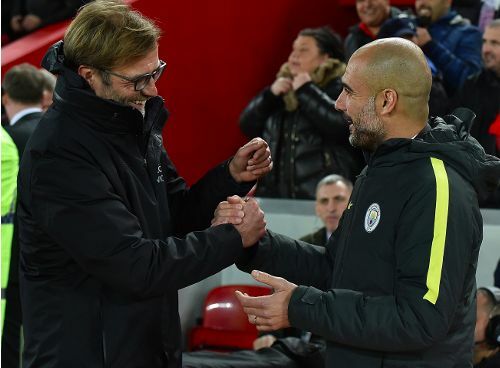 Few could deny the likelihood of City winning the remainder of their games, which is why their defeat on Tuesday should have no impact on how Klopp’s men approach Leicester. Injuries are likely force the frontrunners into notable changes, with 18-year-old Rafael Camacho in contention to start at right-back.